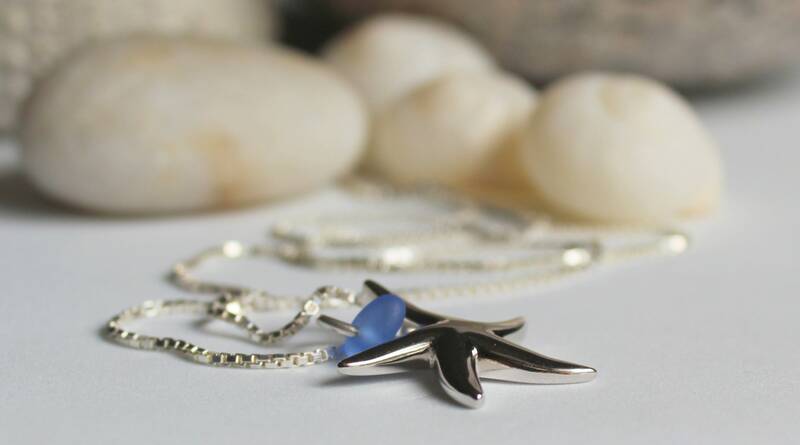 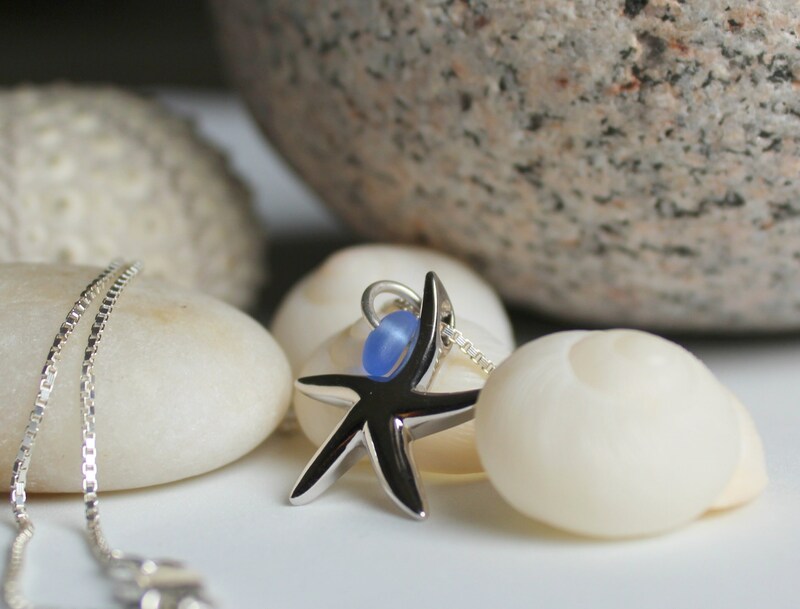 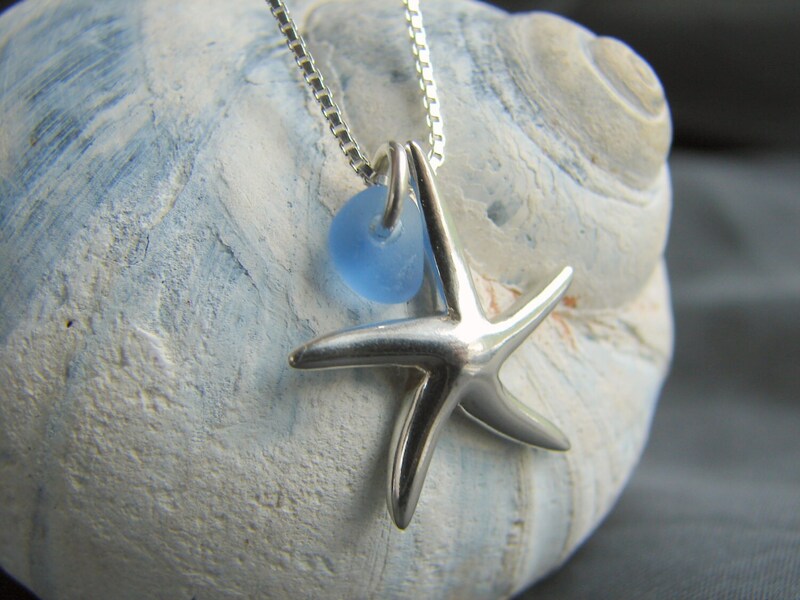 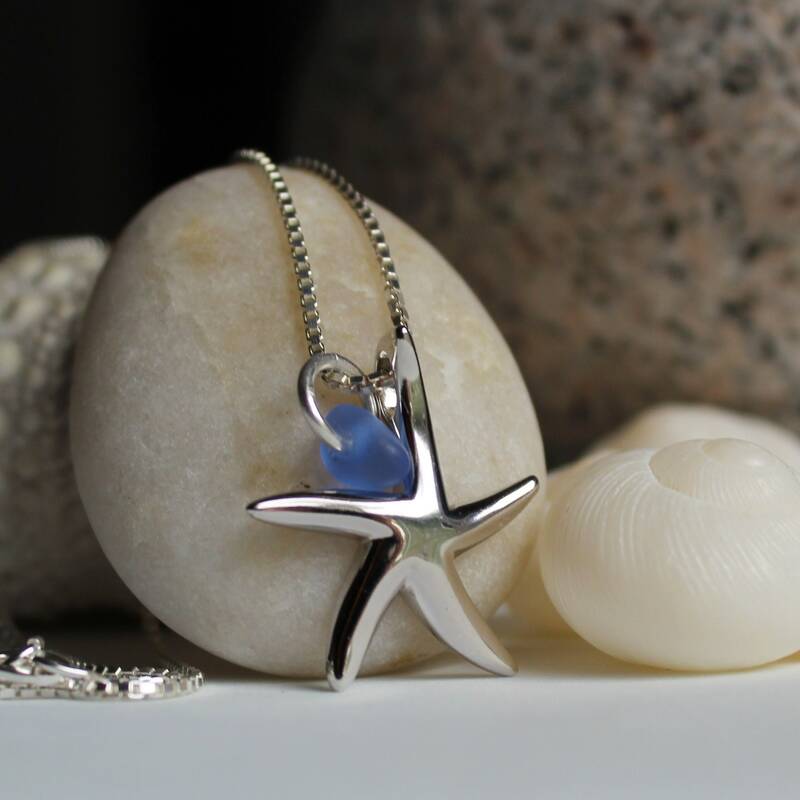 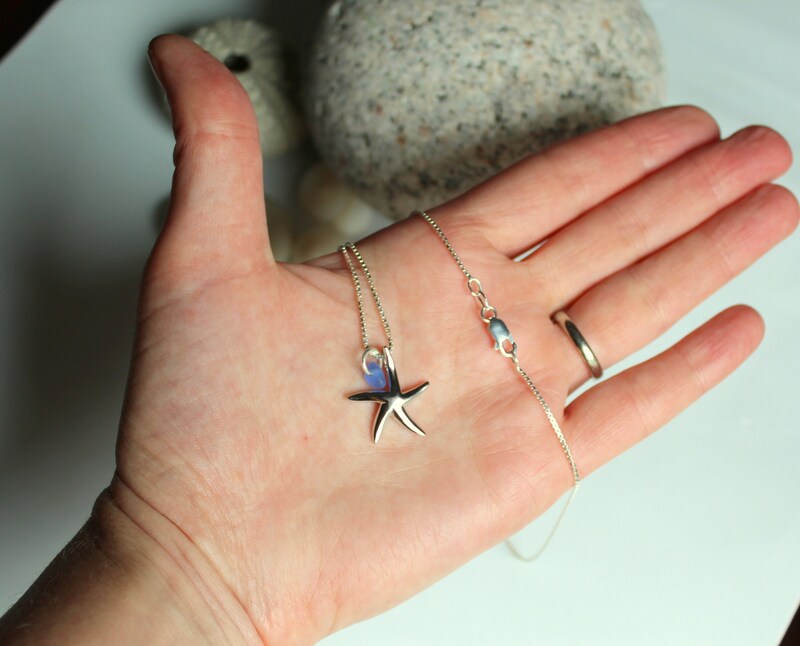 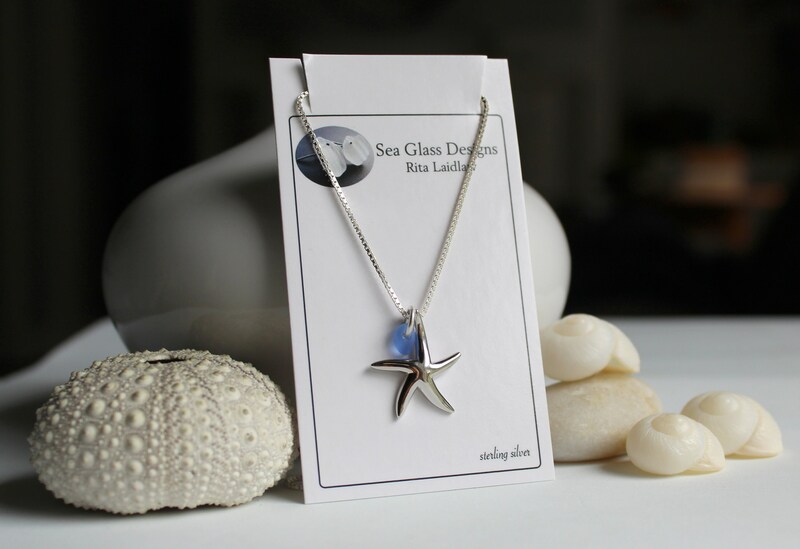 Our Little Starfish sea glass necklace features a tiny drop of genuine cornflower blue beach glass nestled into a sterling silver starfish. 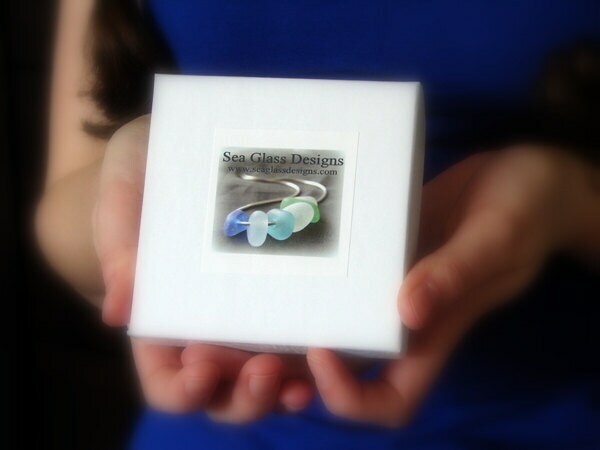 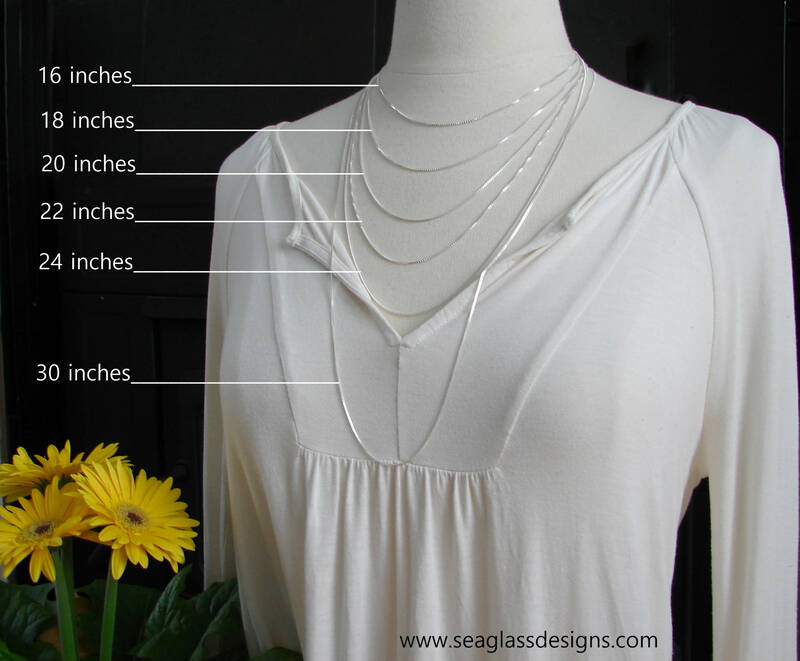 The pendants may be worn together or separately for different looks, on your choice length of sterling silver box chain. 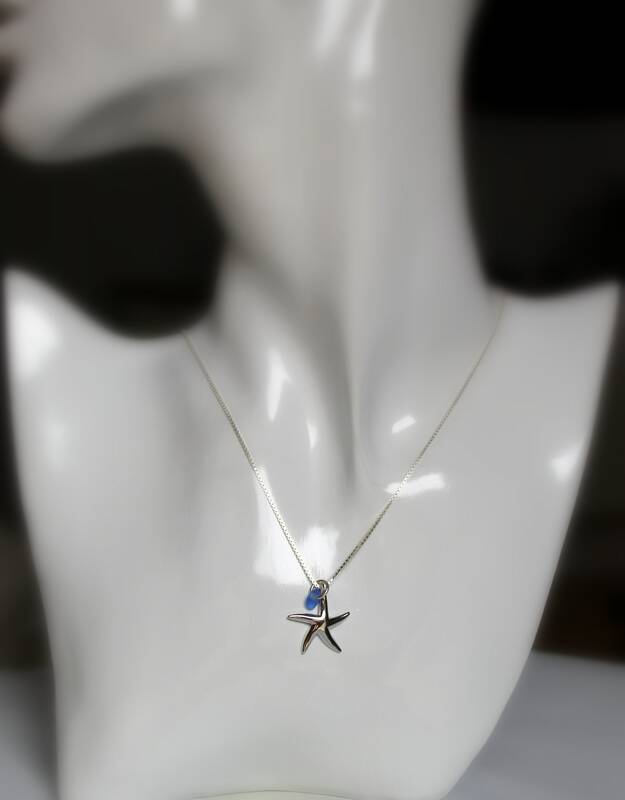 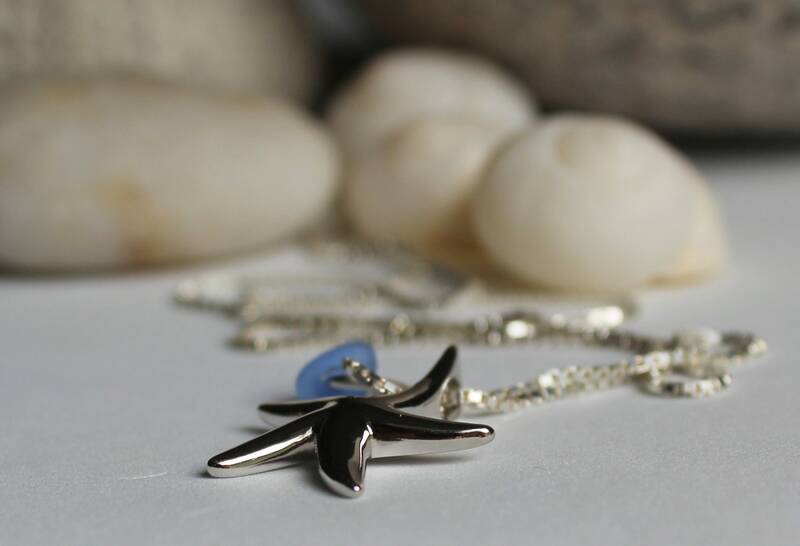 Our Little Starfish necklaces have been very popular for beach weddings!